NASHVILLE -- Barely six weeks after it snatched away an advertising star from rival Hyundai Motor America, Nissan North America Inc. has had the tables turned on it. General Motors Co. has recruited Joel Ewanick from his new job as Nissan's vice president of marketing to run its U.S. marketing operations. Vazin said Nissan has not identified a successor for Ewanick. 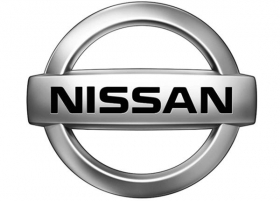 Nissan had hoped Ewanick, 49, could bring results similar to those seen at Hyundai, where his marketing work was credited with a surge in sales and positive consumer attitudes over the past year. But he had not been at Nissan long enough to begin the task. In late March, Hyundai officials were busily responding to questions about what Ewanick's departure would mean. Now Nissan is answering the same question. Nissan is facing one of the most challenging model launches in its history later this year when it begins to mass-market the electric Leaf sedan. It is also entering the light-commercial vehicle business this year, and planning another attempt at the U.S. minivan market, where it has failed in the past.